Long grown in its native Europe as a hedge plant, this small, rounded, low-branched tree is still among the most popular garden hawthorns. 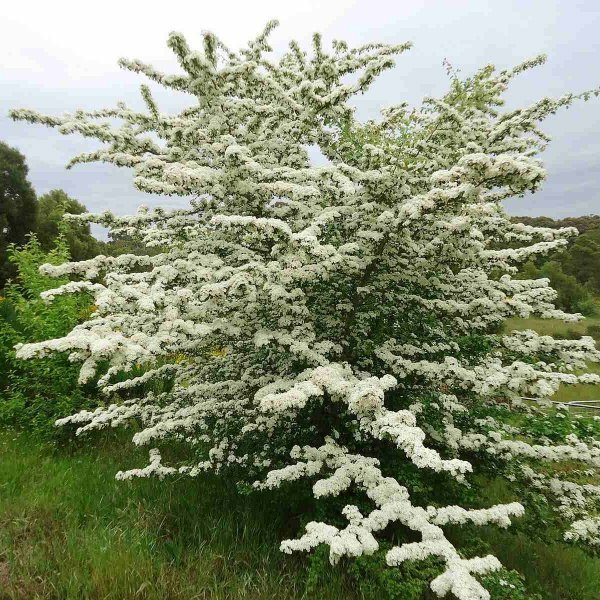 It bears clusters of sweet-scented white flowers in showy abundance in late spring, followed by small spherical fruits that ripen red in fall. Some forms have pink blooms. 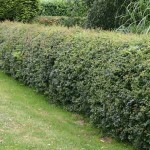 The small, lobed, glossy dark green leaves do not brighten before dropping in fall. 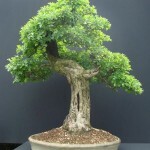 The stiff horizontal limbs have attractive yellowish-green bark and brandish numerous spines. Germination 1. Wrap the hawthorn seeds in a moistened paper towel. Place the paper towel inside a sealable plastic bag. Store the seeds this way for 90 days inside a refrigerator to cold-stratify them. 2. Fill a 1-gallon plastic pot with a mixture of equal measures potting soil and compost. 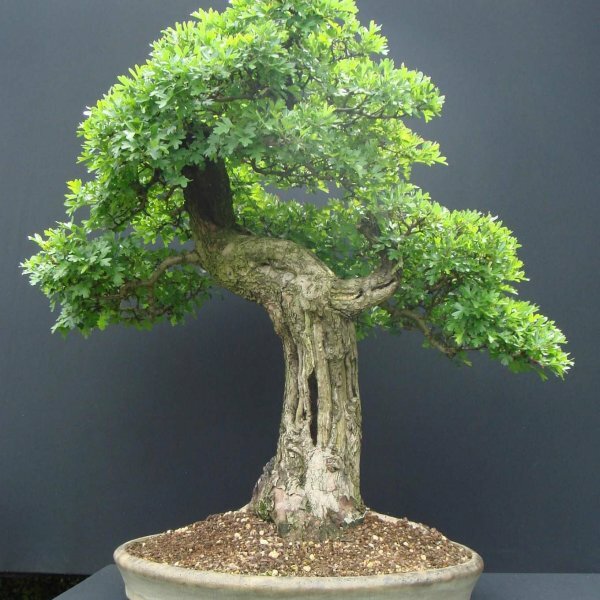 Sow two hawthorn seeds in the pot to a depth of 1/4 inch. Water the pot to a depth of 1 inch. 3. Place the pot outdoors, either against a south-facing wall or in a cold frame, where they will be exposed to normal outdoor temperature fluctuations and precipitation. 4. 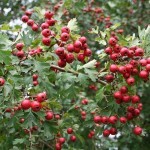 Water the hawthorn seeds only during extended periods of dry weather to keep the soil moist, at a depth of 1 inch. Avoid overwatering the hawthorn seeds since they might rot. 5. 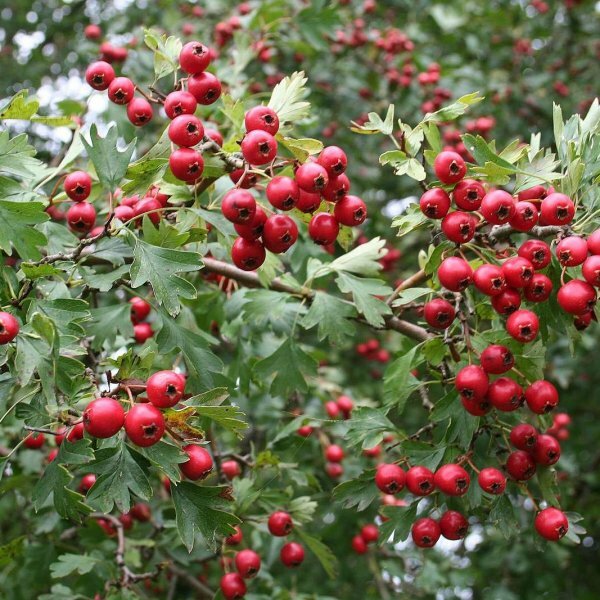 Check the pot periodically to ensure no birds or rodents have taken the hawthorn seeds. Place mesh over the top of the pot if it appears that creatures are foraging for the seeds. 6. Watch for signs of germination starting 18 months after sowing. Thin the hawthorn seedlings once they reach 2 inches in height. Remove the less vigorous of the two seedlings.